Express yourself with a focus on printmaking and sculpting! Using a wide range of materials for prints, campers will discover the joy of natural patterns and textures in the world around them. 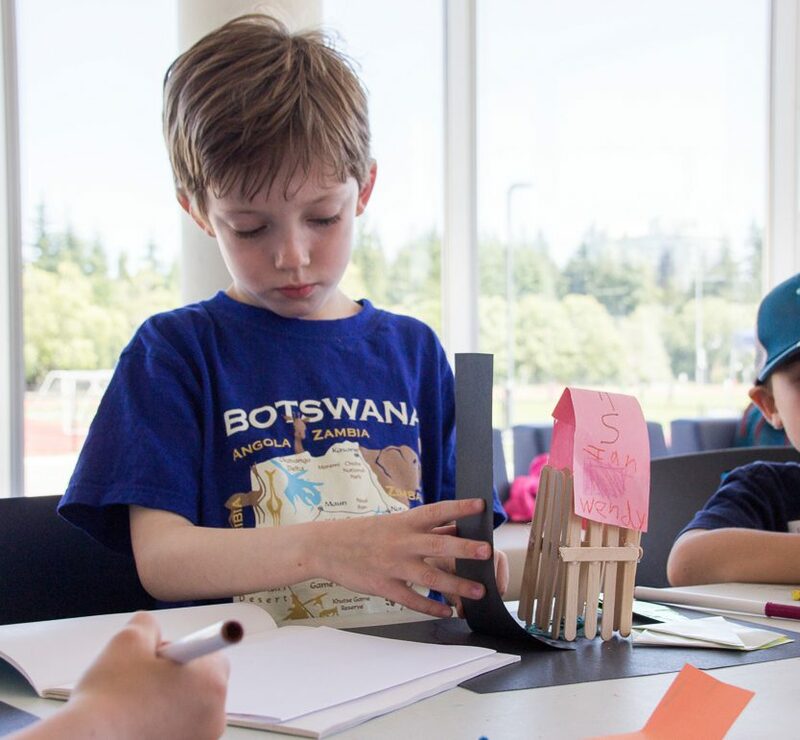 Instructors will lead campers on a journey through shape and imprints, as well as 3D sculpture using clay, tinfoil, rope, wire, buttons, cardboard, popsicle sticks, paper mache, and other imaginative and inspirational materials. Tangible works of art are sure to delight! Be inspired by artists from across centuries, and the styles and techniques taught by our visual arts instructors. This camp focuses on drawing, painting and collage work for older campers, using mediums such as charcoal, pencil, pen, watercolour, tempura paint, and pastels.